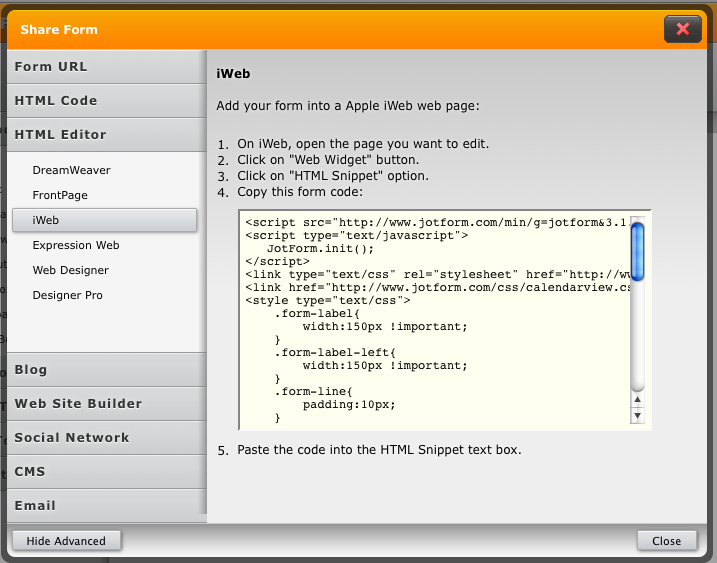 I can't get my jotform to show up in firefox for my iweb site. Any help? Hi - I had same issue - after much experimentation discovered if I pasted the iframe code into my page it would work on Firefox as well. Hopefully this will help you. If anyone has any other suggestions, would be grateful to hear them. I figured it out. In the future, the site should have this kind of information noted so people don't have to search around for it. 4. Click on "iWeb" option under "HTML Editors".